Yes. Traditional and Legendary safes have a Lifetime Warranty. The Classic safe has Limited Lifetime Warranty. 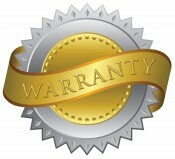 Please see our warranty page for more information.